Old fashioned country service right here in Cobram. Busy Dogs provide a local pick up service for our clients, ensuring your mate is returned clean and smelling beautiful. 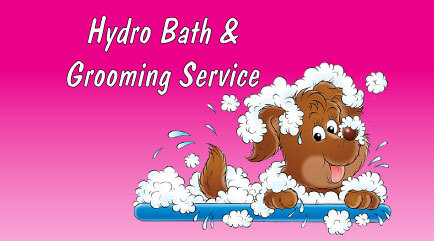 The Dog Hydrobath is sanitised between each dog treatment. This system is a higher quality and more hygenic solution compared with basic disinfectant. Together with fresh water and cleaning material you can be sure your dog is getting the royal treatment.